Welcome to NIHON VOGUE Corp. 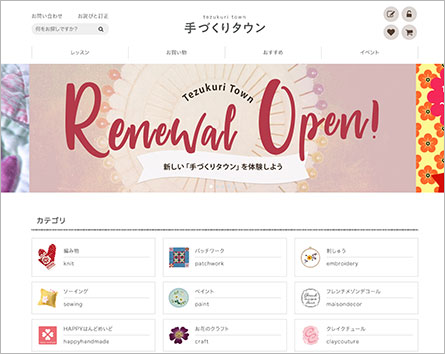 Through our shopping catalogue “Tezukuri Life Premium” and online shopping site “Tezukuri Town,” we offer useful and valuable products to all handicraft fans. 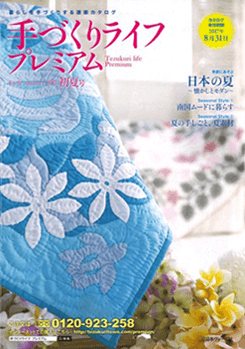 Tezukuri Life Premium is a shopping catalogue that supports handmade life. 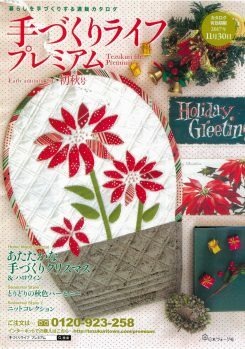 Issued quarterly, the contents include seasonal knit, embroidery, beads, and fabric items and other useful products. Our customers are sure to be delighted as they turn the pages. In order to make our customers’ shopping experience pleasant, we offer a membership service. Members will enjoy the benefits of a shopping point system, discount on shipping fees, and other privileges. This is one of the ways to support our customers’ handmade life. Making, using and gifting are what make handmade fun and special. Handmade life is full of “premium” time. We would love to offer items for that kind of daily life. Tezukuri Town offers information on various handicrafts on knitting, sewing, embroidery, patchwork and so on. It is designed to fulfill our craft lovers’ passion for knowing, obtaining, and learning. Tezukuri Town supports all handicraft fans in making their handmade life more enriched. © 2018 NIHON VOGUE Corp. All Rights Reserved.